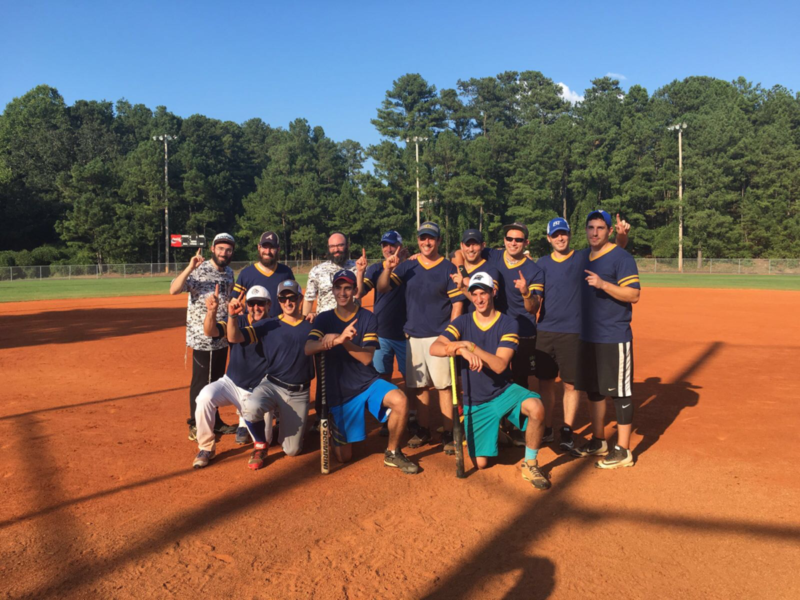 Beth Tefillah won the 2016 synagogue softball A division. Above: A-league champion Beth Tefillah consists of (back row, from left) Yisrael New, Yale New, Isser New, Danny Frankel, Darren Tobin, Josh Solomon, Michael Roth, Ilan Tobin, Lawrence Tobin and (front row, from left) David Frankel, Jacob Gluck, Danuel Strauss and Zev Frankel. Not pictured are Noah Frankel and manager Harold Goodman. Congregation Beth Tefillah ended Congregation B’nai Torah’s nine-year reign in Atlanta synagogue softball with a 9-8, eight-inning win in the A-league championship game Monday, Sept. 5. It was the first league championship for Beth Tefillah, which entered the double-elimination tournament as the top seed. 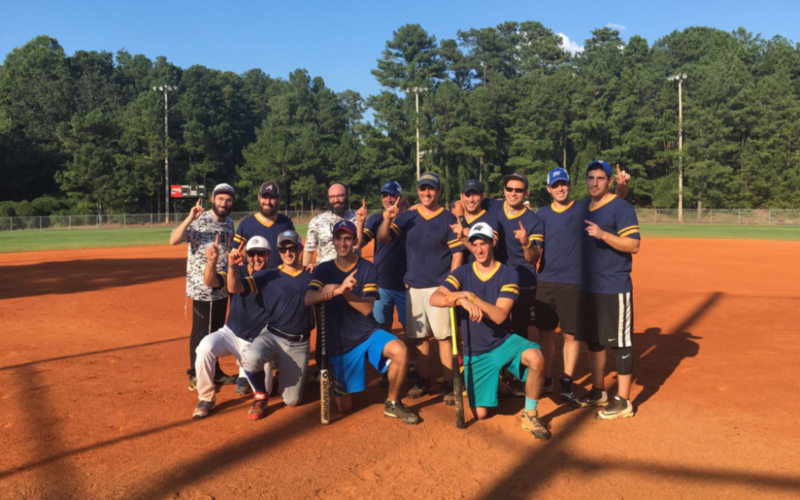 Beth Tefillah jumped out to a 7-0 lead after two innings in the battle of Sandy Springs synagogues at East Roswell Park, but the nine-time defending champs tied the game in the sixth behind a three-run homer by Matt Isenberg. Michael Roth answered in the bottom of the sixth with a home run of his own to give Beth Tefillah an 8-7 lead going into the seventh and last inning. Temple Sinai 2: Adam Hubschman, Chris Sandvi, Ira Blecker, Mike Kaiser, Evan Rosen, Seth Friedman, Jason Evans, Rob Scheinman, Alex Lurey, Dan Loventhal, Gary Loventhal, Bill Loventhal, David Rubinger, Scott Rubinger, Drew Evans, Brandon Kwatnetz, Harry Spiegelman, Lee Padov and Jason Griset. Down to the final out, B’nai Torah tied the game at 8-8 to force into extra innings. But in the bottom of the eighth captain Danny Frankel drove in the winning run with a single and sent the large community of Beth Tefillah supporters into a frenzy. “It was a great game, and B’nai Torah was a great champion,” Frankel said. 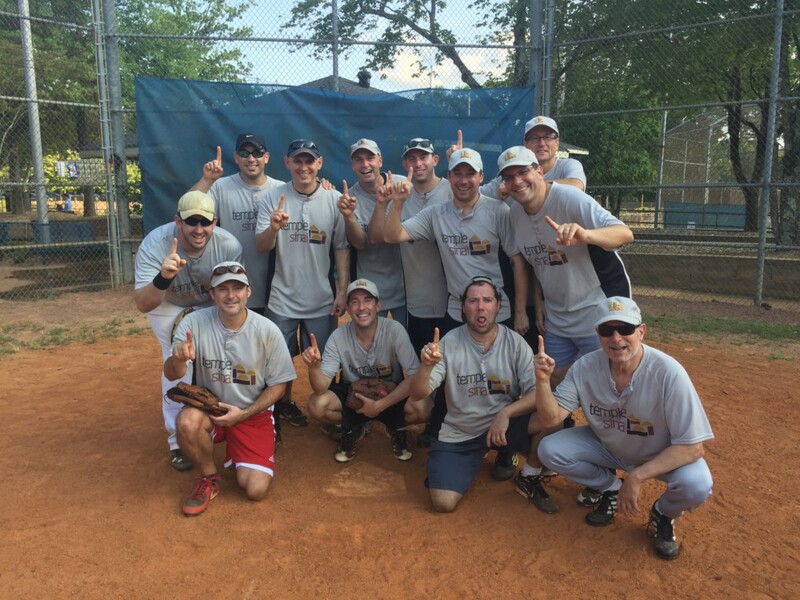 In the C division, Temple Sinai 2 won its first appearance in a championship game, beating Temple Kol Emeth, 8-5. As recently as four seasons ago the squad won only two games. Evans was 3 for 3 with 2 RBI. The key play was a highlight-reel catch in deep left field by Rob Scheinman, who turned a double play when the runner on third left early. Chabad won the B league title over Young Israel of Toco Hills on Aug. 28.